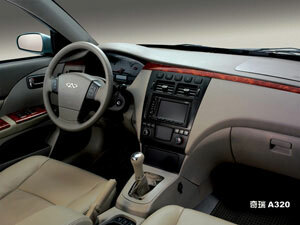 Visionary Vehicles has brought in Chery’s first sedan for the US market – the Chery A520. The Chery A520 is part of the Chery A5 series, with the number 20 indicating a 2.0 litre engine. It is said that it’s based on an extended Volkswagen Golf Mk3 platform, something like an older Seat Toledo. The 2.0 litre 4-cylinder ACTECO engine is Chery’s own engine, developed for them by an Austrian firm called AVL. Bodyworks have been designed by Italian design firm Bertone. Bertone is the design firm responsible for nearly all of Lamborghini’s designs, including the latest Miura concept. Visionary Vehicles positions the Chery A520 sedan against the BMW 3-series and the Audi A4, although it is more realistic for it to go against the Kia Optima and Hyundai Sonata. It has a price tag of USD$19,000.